This lamp has 420 pieces and ranks 2 out of 5 on the difficulty scale. The only difficulty factor is that the large pieces are harder to fit and solder than small pieces. 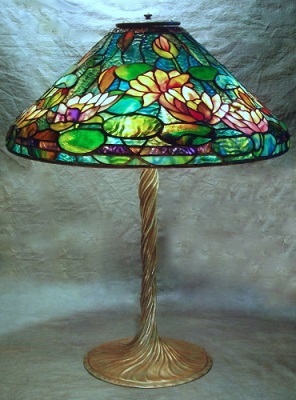 Odyssey Lamp Mold and Pattern for 20" Waterlily Lamp: $212. This kit does not include glass, solder, base or other supplies for completing the lamp. 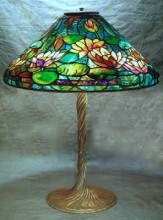 Click the button below to add the 20" Waterlily Lamp Kit to your wish list.